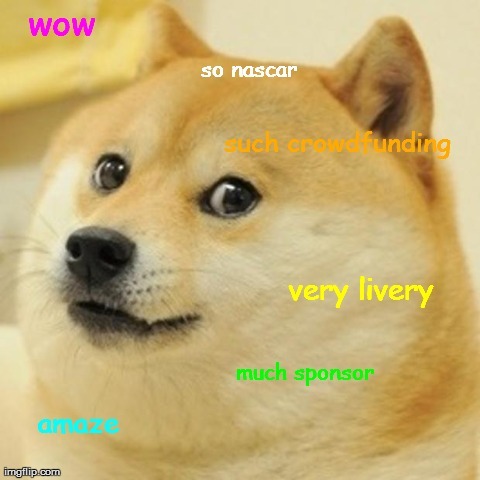 There Will Be a Doge Car at Talladega. Wow. Amaze. The internet wanted a car with a Doge livery at the Aaron's 499 race at Talladega. If you haven't learned by now, the internet gets what the internet wants. 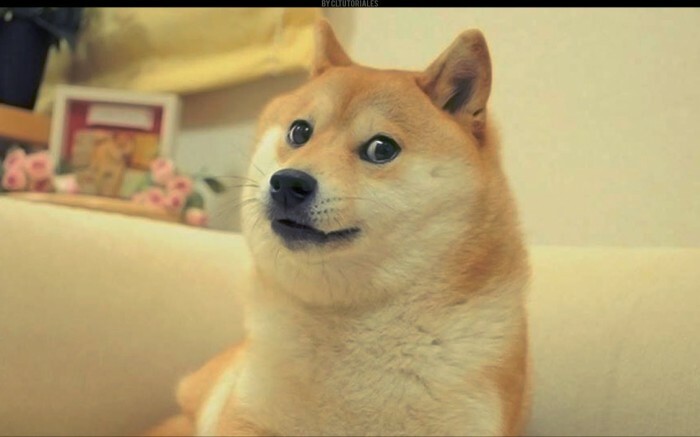 Have you heard of Dogecoin? Granted, its name is a portmanteau of the popular internet meme and the famous cryptocurrency, which might be enough to make you believe that it’s not a thing that can possibly be exchanged for goods. You’d be wrong: according to The Daily Dot, Dogecoin helped send the Jamaican bobsled team to the Olympics in Sochi (clearly thanks to a number of Cool Runnings fans) and brought clean drinking water to Kenya. 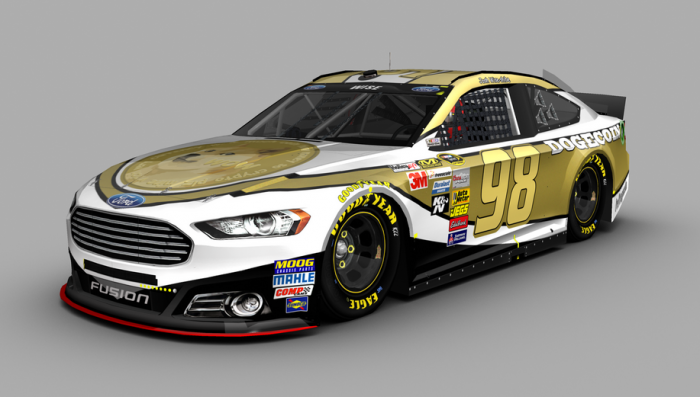 More recently, Redditors from r/NASCAR and Dogecoin set their sights on sponsoring Josh Wise’s car for the race at Talladega and ensuring that the world would have a Doge car. Well, as of this afternoon, they have succeeded. Come May 4th, Josh Wise’s No. 98 Ford will don a Doge livery for the Aaron’s 499 at Talladega Superspeedway, according to SBNation. Very fundraise. Much Ford Fusion. Wow. Amaze. Wise himself seems pretty jazzed about the whole thing, which is fair, as Josh Wise has now officially become the internet’s favorite race car driver. Wise will be doing an AMA on Reddit tomorrow at 9 pm EST, so you can feel free to pop on there and ask him if his reaction to the news was “wow” or “amaze” or “so excite.” I’m sure that you will be the only person to ask him this, and that you will be awarded all the upvotes. Josh Wise and the Doge car, which will be designed by the winner of a design contest that is being promoted on the r/dogecoin Subreddit, will be at Talladega on May 4. Here is one artist’s interpretation of how it may appear when it takes the track: Will you be watching for the Doge car at Talladega? And furthermore, if the partnership goes well and Ford decides to get in on the action and offer a Doge-themed wrap for their production vehicles, would you proudly drive around in a Doge Fiesta ST or a Doge Volt?